Habitat loss and degradation in the Mexican Caribbean, caused by the development of tourism, have decreased the potential nesting area for the American crocodile (Crocodylus acutus) and have fragmented the populations of the Yucatan peninsula. 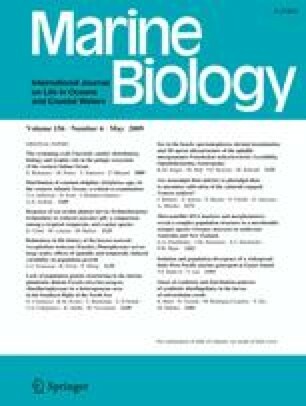 Our study investigated five populations (three continental: North, South, Sian Ka’an, and two insular: Cozumel, Banco Chinchorro) of C. acutus in the Mexican Caribbean using seven different inter simple sequence repeat (ISSR) markers as tools for genetic variability and population differentiation. Three classification methods were tested and compared: distance analysis, self-organizing map, and Bayesian methods, to evaluate the resolution of each method with ISSR markers. The 77 loci selected revealed a high variability between populations (polymorphism from 17% for Sian Ka’an to 75% for Banco Chinchorro) with a total polymorphism of 84% and a global coefficient of gene differentiation (GST) of 0.296, but low values of Nei’s Gene diversity (from 0.065 for Sian Ka’an to 0.233 for Banco Chinchorro). Our results suggest elevated inbreeding in all local populations with higher indices for Banco Chinchorro and lower indices for Sian Ka’an. Three independent classification methods gave similar results, and suggested that most continental individuals are admixtures, with different levels of introgression, with the sympatric species Crocodylus moreletii. We propose that the islands/atolls remain the sole areas with genetically “pure” American crocodiles and we discuss these results for future conservation of this endangered crocodile species. We thank Mauro Collí Orozco for his greatly appreciated help during the field work in Banco Chinchorro and Héctor González Cortés of the “Fundación de Parques y Museos de Cozumel” for providing logistic help and for animal capture during the campaign in Cozumel. Banco Chinchorro Biosphere Reserve provided important support for fieldwork. We thank Magdalena Hernández Chávez, of El Colegio de la Frontera Sur (ECOSUR), for helping in the preparation of samples. Many people provided precious technical help and advice for the study: Sophie Calmé, Rogelio Cedeño-Vázquez, Celine Pelissier, Gabriela Perez-Lachaud, Hervé Gryta, Jérome Albre. Finally, we would like to thank Janneth Adriana Padilla Saldivar of ECOSUR for drawing the map.